ACU undergraduate researchers and mentors have access to the Student Opportunities Center (S.O.C.). The S.O.C. is a platform which connects students to over 10,000 student conferences, journals, new and prestigious experiential learning opportunities (scholarship, fellowship, community/civic engagement), and undergraduate research opportunities. Sign-up for the Student Opportunities Center by going to www.studentopportunitycenter.com and creating an account with your ACU email address. American Chemical Society National Conference, Alpha Chi National Convention, Eastern Communication Association Conference, Multidisciplinary Head and Neck Cancer Symposium, National Association of Social Work Baccalaureate Program Directors Annual Conference, National Conference on Undergraduate Research, Pacific Sociological Association Meeting, Texas Academy of Science. The School of Social Work taking 31 students to their conference. 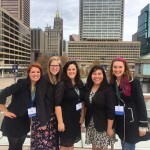 At the Alpha Chi National Conference, Kristen Brehm won 1st place for her presentation in the chemistry division. Jeffrey Wooliscroft won a regional Alpha Chi scholarship, and Tina Johnson and Hailey Yamada both received chapter scholarships. Jamie Thompson and James Nix placed 2nd overall among over 75 undergraduate posters at the Texas Academy of Science meeting. The 9th Research Festival will be April 4, 2017. With the financial support of the Student Association, the Student Panel on Undergraduate Research awards travel grants to undergraduate researchers. 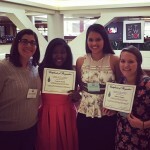 These awards help students travel to professional conferences to present their work. The awards are awarded based on a rubric. 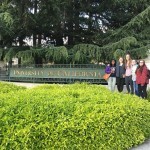 The Student Panel on Undergraduate Research (SPUR) is soliciting an original design to print on the Research Festival t-shirt to be sold at the 2016 Undergraduate Research Festival. Profits from the t-shirt sales will go toward funding student travel to external conferences. If your design is chosen by SPUR you will receive a prize of $50 and, of course, a free t-shirt. You must be an ACU undergraduate student to participate. We suggest that the design represent more than one area of research. You may if you wish incorporate the Undergraduate Research Crest on the t-shirt. Please email uresearch@acu.edu if you would like copy of the crest. You retain ownership, but grant the ACU Office of Undergraduate Research rights to use your art. Please submit your design electronically to the Office of Undergraduate Research at uresearch@acu.edu. The office may also be contacted with questions regarding designs and this contest, in general. Submissions are due by 5 PM Friday, February 5. We look forward to seeing your work!